I have tried to hold back my thoughts on the wave of pundits & celebrities comparing Trayvon Martin to Emmett Till because it really makes me want to curse & I’m trying to keep my language clean. From the NAACP to Beyonce to Toure…many are making this very fallacious and absurd comparison. The two cases are nothing alike & I have no idea how the Martin or the Till family feels about this, but if I were a member of the Till family in particular, I’d be insulted quite frankly. There’s no comparison to a mob of white men abducting a fourteen year old boy out of his relative’s home in the middle of the night & lynching him for talking to a white woman in 1955, to a Hispanic man shooting an unarmed seventeen year old black teenager in self-defense (according to the jury verdict), during a fight in 2012. 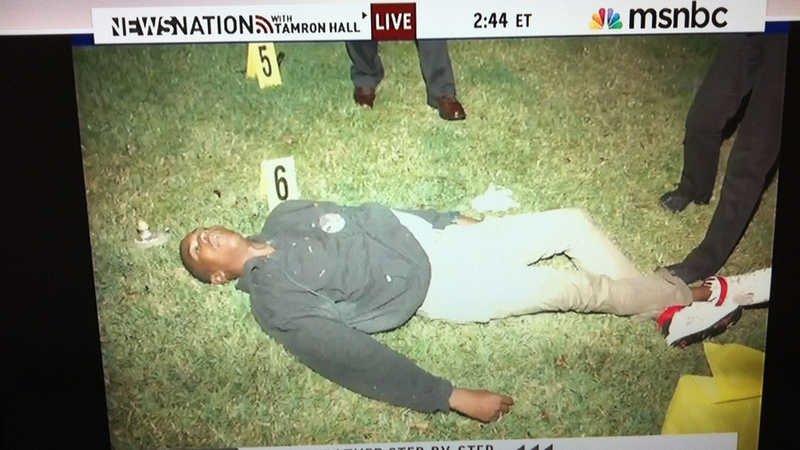 Let me say that I’m not one who agrees with the verdict entirely in the latter case (but I accept it) but juxtaposing Trayvon Martin & Emmett Till….really? 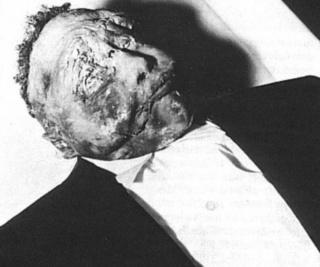 Recently, there were pictures allegedly released by mistake, of Trayvon Martin’s dead body & I’m starting to think this was done on purpose, in order to manipulate the public into falling for such a comparison when there is none, as well as to incite outrage.I will not disrespect the seriousness of Emmett Till’s horrific lynching in that manner & shame on those doing just that. The only similarity is that both cases caused a national (and international) uproar but the Till case catapulted the Civil Rights movement and people of all races started to stand up against the racial discrimination & murders of black people in the deep South. Some of my friends from different political ideologies have asked me about this, mostly my liberal friends & those are my thoughts. 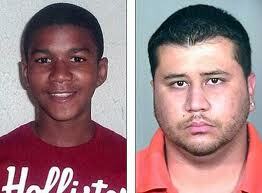 If you see the evidence in the Zimmerman case differently, fine. 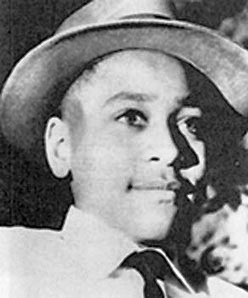 If you decide to protest fine, but leave Emmett Till out of it. 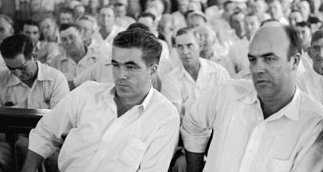 The Emmett Till name/imagery is being used to manipulate America into seeing Zimmerman as one who has “lynched” a young black man & I think that’s irresponsible, end of story. In other news and from my Facebook page also…. Have a blessed & productive day, until next time! A predominantly white jury is not going to like Rachel Jeantel. Let’s just be real here. The 19-year-old Miami native is an easy target for obvious, yet shallow reasons. But let’s not forget why she’s actually on the stand in George Zimmerman’s second degree murder trial. 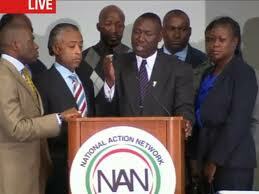 Rachel was the last person to speak to a living, breathing Trayvon Martin. The guilt, shame and sorrow she must feel is something most of us will never be able to comprehend. You could hear it in her voice, see it in her jittery body language. She is feeling the wrath of this highly publicized case. Rachel was thrown head first into this murder story, unwillingly. 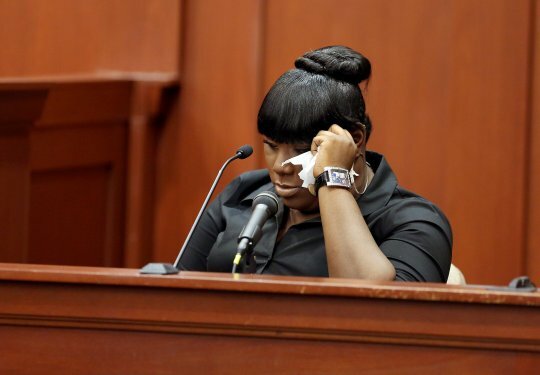 And although she had repeatedly said she did not want to be a witness, did not even want to believe she was the last person Trayvon spoke to, Rachel took the stand for all the right reasons. 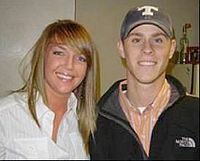 She was asked to by the family of her deceased friend and feeling part of the burden for his death, she wanted to help. Rachel was raw, emotional, aggressive and hostile, and she was unapologetically herself. And if the 5 white jurors (excluding the 1 Latina) are like most white people I know, they are unfortunately not going to like Rachel. They won’t understand her, especially not her defensive nature, and this will unfortunately work against her. Even though it shouldn’t. 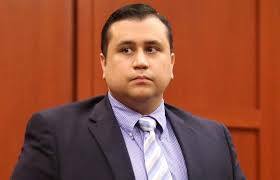 I can imagine George Zimmerman’s defense is just hoping some of those 5 white jurors have some prejudices (as most people do), or hell, are even racist, because if they are, their tactic to make Rachel out to be less intelligent, rather than less credible than she actually is, might actually work. Less intelligent and more confused. Less intelligent because of the “language barrier” and more confused because of the lawyers’ failure to understand who Rachel is, where she comes from, what kind of life she lives. It seems the middle-aged white men on both sides of this case are totally unaware of what Rachel’s life is like – a 19-year-old high school student of Haitian descent who knows nothing more than the few block radius she has grown up in. The cultural differences here are exponential. But if the lawyers, and especially the jurors, were really listening, they would see that although she comes off aggressive, Rachel was consistent. Yes, the defense proved she had lied in the past, but she didn’t deny it. On the contrary. She was very honest about it, and even led us to sympathize with her reasoning for it – she did not want to see Trayvon’s body, she did not want to face Trayvon’s mother and she wanted to wipe her hands of the situation because of the emotion and trauma. She was the last person Trayvon spoke to and she wanted everyone to understand what that means. This is in no way easy for her. Rachel is the prosecution’s key witness, but I am going to call her the misunderstood witness. She holds vital information that both the defense and prosecution need, but these middle-aged white men questioning her do not get it. Sadly both the prosecution and the defense [but more so the defense] have an extreme disconnect from her reality, like I said. The constant text messaging between her and Trayvon is normal for two high school kids who may like each other, the nonchalant use of racial slurs like “cracka” and “n*gga” are slang (as Rachel put it) and that doesn’t mean it comes from a racist place. 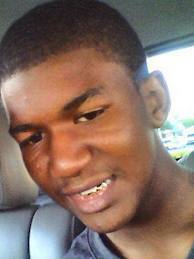 Trayvon was just 17, his life consisted of text messaging, high school, PS3, girls and not much else. He had a lot of growing up to do, a lot of experiences to take in, so much more to learn, but sadly, he will never get a chance to do any of those things. Rachel on the other hand will get to, but with her immaturity displayed on the stand for the whole world to see, she quickly became a joke. Maybe we were picturing Trayvon’s alleged girlfriend to be a bit different, but nevertheless, Rachel still is the last person, aside from George Zimmerman, that Trayvon had any contact with while he was alive on this earth. Rachel’s mumbling, hostility and that reference to the show First 48, among other things, threw us for a loophole, but let’s remember, she is just a teen. This is what she knows. This is far from a Lifetime movie, this is her life. In the flesh, but still on our TVs. Now, there’s no disputing the data. The underlying reasons or the solutions may be up for debate but the numbers are what they are. This is not the first time I have shared such information and every time I do, I always (thus far) have black liberals who come to dispute my well documented statistics, citing that “Anyone can make up a chart or data” and they always question the source. When I present the sources as coming from the federal government via the CDC or FBI these are the things I hear – that the sources are not always trustworthy, they can be racist…etc. If you trust Uncle Sam to make healthcare decisions for you (for example) or to re-distribute your tax dollars in whatever way the feds see fit, why in the world would you suddenly not trust that SAME federal government to report crime statistics and collect data? There is no denying the fact that the vast majority of media speculations on terrorist James Holmes‘ reasoning for committing the mass shootings in Aurora, Colorado were due to the fact that he is mentally ill, despite not having any evidence of this. The same assessment was made after the Columbine shootings and others which involved non-black perpetrators. I have to be honest in saying that it strikes me as ironic that black or Latino gang-bangers are labeled as “monsters” void of any conscience who deliberately terrorize the people in their communities (and they do) but when the shooter is white, great effort is made to downplay the killing as deliberate,cold-blooded & the narrative becomes “they are mentally ill, unaware of what they are doing or delusional” – Now before some of you go getting defensive on me, I’m talking about perception which is driven by the media coverage, not the specific facts of the case. I do NOT defend the killings taking place in Chicago by any means. The fact is, despite having ZERO evidence that Holmes is mentally ill, this seems to be the consensus already! That’s because many (myself included) tend to reason that one MUST be mentally ill to dress up like the Joker and go on a shooting spree in a packed movie theater. The problem is that this “justification reasoning” is almost never applied equally across racial lines. Quite frankly, black people don’t do mass shootings of this kind. When we kill it’s a very much intended target or we miss and kill unintended victims, which is no less horrific but this is a cultural difference worth mentioning. More often than not, when there is a mass shooting, the perpetrator is a young white male who shoots at random and attempts to kill as many people as he can, their relationship to him (or lack of one) not withstanding. 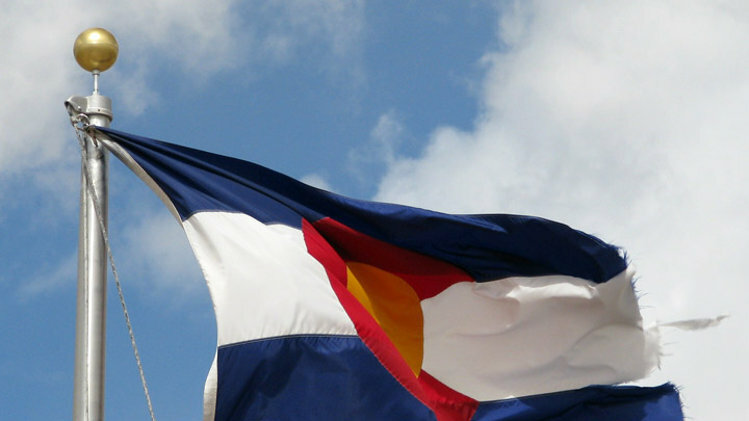 The news coming from Colorado is tragic, shaking us from within, but why are our only initial assessments about the shooter related to mental illness? And even if he is mentally ill, so what? Don’t life’s pressures often trigger crazy? No one has presented any evidence, as yet, that James Holmes was a perpetually troubled young man, so why aren’t we exploring other possible inducements for his bloody rampage? How does a neuroscience student morph into a mass murderer? I don’t know, but I’m not going to narrow the possibilities in order to reassure white people that everything is just fine in their brains. Premeditating the murders of strangers isn’t normal, it’s sick. And so is slaughtering your school mates, and sicking a police dog on a woman with her infant in tow – which we saw done by the police in Anaheim this week.